Research published in New Phytologist shows how, by mimicking the mimickers, scientists have been able to untangle the visual and scent components of the Dracula orchid’s appeal to figure out what makes them so good at fooling flies into pollinating them. Using 3D printing to make realistic artificial flowers, which copied the real thing in colour and scent, Tobias Policha and colleagues experimentally separated the cues used by the Dracula orchid to lure in flies. The researchers found that a particular feature of the Dracula orchid – its mushroom-like labellum – worked together with its mushroom-mimicking scent to attract flies by exploiting their visual and chemical preferences. In doing so, it ensures regular visits and pollination by the flies. Without mimicking the mimickers using their 3D printing technique, the researchers would not have been able to work out the secret of the Dracula orchid’s devious attraction. This is the original draft of a press release published via the Wiley news room, and appears in edited form as a blog post on the New Phytologist Trust blog. Plants that have flowers that point towards the sky may be better at attracting pollinators than plants that have ‘shy’ flowers that point sideways. The study, by researchers in the USA, Germany and South Africa, used two species – Zaluzianskya natalensis and Zaluzianskya microsiphon – to investigate the idea that flower orientation, in combination with floral scent, affects the behaviour of pollinators. Both flowers are open in the evening, and attract hawkmoths, which pollinate them. In the experiment, hawkmoths showed a preference for Z. natalensis flowers. 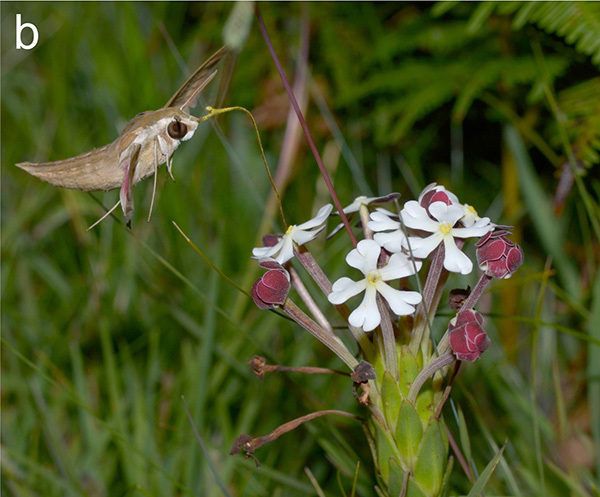 Z. natalensis produces more floral volatiles than Z. microsiphon – it has a stronger scent to pollinators – but artificially adding more volatiles to the flowers had no effect on the numbers of hawkmoths that visited. The secret of Z. natalensis’ success doesn’t appear to be its smell. Z. natalensis, however, also has flowers that point upwards. The researchers found that manipulating the flowers of Z. microsiphon to point upwards increased their appeal to hawkmoths, and that manipulating the flowers of Z. natalensis reduced their appeal. This study, published in New Phytologist, shows the importance of flower orientation in affecting how pollinators behave, which in turn influences the reproductive isolation – the chance of inter-breeding – that those plants experience. This is the original draft of a press release submitted via the Wiley newsroom, and appears in edited form as a news post on the New Phytologist Trust website. A bright, blustery day in England’s north Pennines. Fluffy cotton grass heads bob and bounce on the breeze. On the side of a hill, a strange array of hexagonal, knee-high structures glint and sparkle. Four figures, hunched against the wind, move methodically along jaunty wooden boardwalks, which rest on the blanket bog, crouching at each hexagon in turn. Welcome to Moor House National Nature Reserve, the site of an experiment designed to investigate how a warmer climate will affect the speed with which plant litter is recycled back into the soil, and ultimately the atmosphere. The resulting paper, in ESA Ecology, describes an experiment that uses a combination of open-top, passive warming chambers and plant removal treatments to investigate how the presence of certain plant functional types and warmer temperatures affect rates of litter decomposition. The authors used litter bags, filled with the litter of each plant functional type and buried in plots beneath the plant removal and warming treatments. In all, there were eight treatments (combinations of graminoid, shrub and bryophyte removal, a bare plot and a control with no plants removed), replicated over four blocks, with half the plots warmed by the passive chambers. The main finding of the paper is that presence or absence of plant functional groups had a stronger effect on peatland litter decomposition than the warming of approximately 1°C achieved by the passive chambers. Removing the shrubs from the peatland resulted in faster decomposition of graminoid and bryophyte litter, after two years. Litter identity was also important – in the first year of the experiment this was the main factor controlling rates of litter decomposition, with bryophyte litter decomposing most slowly, followed by shrubs and graminoids. After two years, the live plants present in the plot (i.e. presence of shrubs) were more important than the litter identity. Warming affected the composition of the bacterial community, while the fungi responded more strongly to the presence of shrubs. While these results are compelling, they should be taken with caution, as the authors suggest: since the duration of the experiment was two years, further interesting effects resulting from the decomposition of shrub and bryophyte litter, which happens more slowly than in graminoids, might not have been captured. After four or five years, the decomposition of more recalcitrant litter could reveal more interesting effects. The same is true for the warming treatment: given a longer study period, the effect of 1°C warming on plant litter decomposition might become more important. It is, however, easy to write ‘more long-term experiments needed!’ while, in reality, the amount of effort required to maintain the plant removal treatments and warming chambers in the harsh upland environment of the Pennines represents a considerable hurdle. And one has to motivate one’s volunteers to see past the inherent absurdity of weeding a moorland! Overall then, what’s the message? Dead or alive, whether you’re graminoid, shrub or bryophyte seems to exert much stronger control on litter decomposition rates in peatlands than temperature. While warming doesn’t have much of an effect on plant decomposition, it does affect the bacterial community in the peat, which might have important implications for graminoid decomposition, since bacteria are well-equipped to munch through labile substrates. Fungi respond when you take away the shrubs, which provide the more recalcitrant litter they’re specialised for dealing with, and might therefore moderate the response of the peatland carbon cycle to warming. Given a longer time period, more effects may emerge from this experiment. I’m interested to know about the responses of decomposition processes in other ecosystems to warming and plant functional group removal. In grasslands, for instance, what happens when you increase the ambient temperature and remove the nitrogen fixers? Of course, these sorts of studies require a sufficiently long period to become stable and start producing results. In a time of apparently perpetually shrinking budgets, what’s next for long-term field experiments in ecology and biogeochemistry? This is an edited version of a post I contributed to the BES Plants-Soils-Ecosystems journal club. The late afternoon sky drizzled softly on Manchester. The pubs along Oxford Road gently creaked with the weight of workers sinking pints following a long week of doing whatever it is that people who work in Manchester do. Sat in a beer garden, I relaxed and pondered the exceptionally busy previous 48 hours, the main feature of which had been the effective and successful running of a small conference. Having waved goodbye to 50 happy delegates, I had the time to reflect on what had made it successful. The small conference in question was a joint meeting of two British Ecological Society special interest groups: Plants-Soils-Ecosystems and the Plant Environmental Physiology Group. Entitled ‘Carbon Cycling: from Plants to Ecosystems’, with its own snappy hashtag for the social media savvy (#psepepg), the conference took place over two days, attracted around 55 delegates, and featured three keynote speakers, 21 talks and 10 posters. After a lead-up lasting months, the two days of talking, problem-solving networking, coffee-drinking and chaperoning passed in a flash. My co-organisers, Ellen Fry, Sarah Pierce and I (I should emphasise that Ellen and Sarah did all of the really tricky bits of the organisation, like dealing with the budget and organising space and food), have received lots of positive feedback about the meeting since. Lots of our delegates said that they’d liked the inclusive nature of the meeting. Its small size and demographic, comprised of many PhD students and early-career researchers with a generous smattering of more senior academics, meant delegates could be confident of having a chance to speak to everyone over the coffee breaks and lunches. With just 21 talks, we could be generous with coffee breaks, providing plenty of opportunities for people to chat and particularly for early-career researchers to interact with our keynote speakers. The format worked well and had been tested previously, at a similar meeting last year; it was helpful to have Sarah on the organising committee, because she’d co-organised that conference. Another important issue is access for disabled delegates – something that we probably didn’t address well enough and will certainly be higher up the agenda next time. There was little I could do ‘on the ground’ (jobs like scoping out the rooms, organising poster boards, booking the food) from Dublin, so I contributed by promoting the conference on social media and various email lists, and designing the abstract submission process and programme booklet. Google Forms provided a straightforward, free method for collecting abstracts online: each response on the form was sent to a Google Docs spreadsheet, making it very easy to keep track of abstracts and, importantly, difficult to lose them. All the abstracts were in one place and in roughly the same format, ready to slot into the programme booklet. The only stressful element of the process was that, with a week to go, we’d still only received a handful of abstracts, mostly for posters – cue more frantic promotion! Of course, everyone submitted their abstracts on the last day before the deadline. We had a similar experience getting people to register for the conference, using Eventbrite – the deadline had to be extended several times. Academics, it seems, don’t like to commit (though I suspect a lot of the late additions were a result of summer holidays and fieldwork seasons – timing is important)! One thing to note is that, for many academics with families, travelling on a weekend is not an option. So what are the perks of organising a small conference for the PhD student or early-career researcher? They’re relatively easy to set-up, particularly through a society like the British Ecological Society. There are lots of people with expertise who can help. You get lots of interaction, including taking the keynote speakers out for pre-conference beers, and of course chatting with all the delegates. It’s a great way of getting a snapshot of the research currently happening in your field. Providing you have people who are willing to help, the organisation need not take over your life, though it probably will for the couple of weeks prior to the conference. Bearing this in mind, as long as the meeting stays small, the benefits outweigh the temporary hassle, and it’ll look great on your CV. Everybody came – we had no drop-outs, and one person came all the way from the USA! We included panel discussions at the end of each four talk session, and these worked surprisingly well – I think the inclusive atmosphere at the meeting contributed to this. As well as three organisers, we had enough unofficial helpers, in the form of PhD students and post-docs at the University of Manchester, who could be roped in to help out with running the registration desk and shepherding delegates. Facilities existed for recording the talks, so we took advantage of this and put the talks online – a handy resource for people who couldn’t make it. Live-tweeting the conference, and packaging the tweets up afterwards as a curated Storify story, seemed to be popular. Elements of the abstract submission / registration process were slightly fraught due to their last-minute nature. I’m glad that we allowed plenty of time for these: abstract submission two months in advance, registration one month in advance, and keynote speakers confirmed three months in advance. Getting the food right turned out to be a nightmare for Ellen, who had to do battle with the catering department. It’s worth thinking about the format of food you’d like people to eat – something that is quick to dish out and mobile is best for interaction. Although the venue was generally excellent, there was one stumbling block in the form of a door between the auditorium and the posters / food that could only be opened by certain people, which lead to a lot of ferrying delegates to and fro. A broken-down train on the morning of the second day prevented some of our delegates from arriving on time, but luckily we were able to shuffle the schedule around so that nobody missed their chance to present. Organising small conferences can be exhausting, but it’s also great fun and a very good way of meeting lots of people and broadening / deepening your network. I thoroughly recommend it! This post also appears on Trinity College Dublin’s EcoEvo blog. There’s something different about this Tuesday. Today marks exactly one year since I started my postdoc – or, as I keep calling it, My First Proper Postdoc – in the Botany Department at Trinity College Dublin. I actually realised this yesterday lunchtime, and had to celebrate by going to buy myself (another) coffee; some things don’t change. While sipping my celebratory coffee and considering a salad, I had a chance to think about the first year of my two year postdoc: how had the experience compared with my expectations, had I learnt anything worth sharing, and had anything surprised me? Had coffee consumption increased significantly relative to before? Well, the jury’s still out on the coffee consumption. The first year of my postdoc has certainly offered some surprises – I think it’s safe to say that my expectations were almost completely wide of the mark. Still reasonably fresh from my PhD, I’d wanted expected a project with a similar degree of flexibility attached – lots of time to digest the literature, and decide what to do. Of course, with a lot to do in two years, I’d need to get on with it, so everything I needed to do was already set out in the project proposal. That feels like a mixed blessing: there’s certainly still plenty of space for me to use my initiative, and I remember the times during my PhD when I wished somebody would just tell me what to do – I hope the time for me to really develop my own lines of enquiry will come later on. Getting to know a new department / school / university / city has been the overwhelming theme over the last 12 months. Arriving in the Botany Department and finding myself surrounded by a very different group of people to the group I left at Lancaster Environment Centre was very interesting indeed. I think I’ve just about worked out what everybody does. I’ve also – to both my pleasure and surprise – started hanging out with Zoologists! 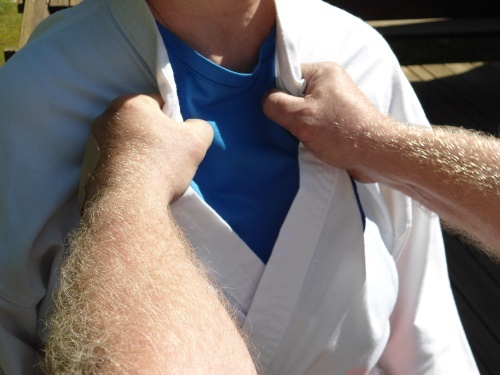 One of the best things about coming somewhere new has been finding out about lots of cool new ways of doing things, which aren’t necessarily discipline-specific. There have been new ways of working to explore too. I have to admit that I’ve found moving from a busy open plan office to my own (!) office much more difficult than I thought I would – having someone look over your shoulder every half an hour might seem annoying, but it’s a great way of getting work done. I could go on dissecting, but you’re probably bored already – the main point I’d like to make is that my first year of ‘proper’ postdoc-ing have almost entirely exceeded my expectations. I’ve met some brilliant people, discovered many new and useful ways of doing things, been to some cool places and had a chance to hone my thoughts for the next 12 months, and beyond. In short, it’s been grand. This isn’t really a post – sorry about that – more of a note to say ‘look at this post me and Dr Georgina Key contributed to the excellent EcoEvo@TCD blog over here: http://www.ecoevoblog.com/2014/02/19/systematic-reviews/‘. It’s all about what my time contributing to a systematic review of sustainable practices for working with soil in agriculture. I’d head on over there and have a read if I were you. Last week I took part in a very interesting NERD Club (run by @EcoEvoTCD‘s @nhcooper123 – check out their marvellous blog for loads of useful information and perspectives on all things ecology and evolution) session on alternatives to academic careers. In a competitive field, making the choice between a traditional academic career and something that, well, isn’t that, is increasingly becoming a talking point among PhD students and early career researchers. 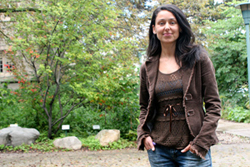 The perceived process of getting a foothold in an academic career is frequently accompanied with expectations of long hours, continual transit between short-term contracts, and much heaping of responsibility – whether these perceptions are correct or not, the result is an increase in conversation about the alternatives. As I fall into the ‘early career researcher’ box, I can’t really contribute much in the way of hindsight or perspective. However, there were two guests at NERD Club who could – they had both done PhDs and post-docs, and now had non-academic (but, crucially, not non-scientific or non-research) jobs outside of the university circuit. This first fact was interesting in itself, suggesting that, without actually trying a post-doc, it’s difficult to know if you’ll like it or not. If you’ve made the effort to get a PhD, it seems worth the further effort to try the academic route, to decide whether or not it’s for you, unless you’re completely certain that it isn’t for you. My own experience of a post-doc has been quite different to that of my PhD, in ways that I didn’t think it would be. I got the impression that choosing a non-academic career involved a compromise between the ‘flexibility’ and ‘infinite horizons’ theoretically offered by academic posts, and something with more security, but less autonomy. This post isn’t intended to express a certain position on the issue – rather, I’d prefer it to prompt some discussion. Please do comment below if you’d like to. There were several other useful hints and pointers to come out of the meeting, which I’ll list below. A ‘non-academic’ career doesn’t necessarily preclude ‘doing science’ – it could just mean that the pressure to publish is reduced. However, it might also mean that you have less freedom over the things that you do. Consider approaching an organisation that isn’t a university. Kew Gardens, or the National Biodiversity Network, for example. Do think about career alternatives – decide what you’d be trying to do if you weren’t considering an academic job, and start acquiring the skills that you’d need if you were to apply for a role in that field. One particularly focused way of obtaining the skills you might need is to volunteer. Personally, I’m interested in science communication – I’ve managed to develop some of the relevant skills through maintaining this blog, along with others, maintaining social media profiles for the organisations that I’ve worked with, and maintaining websites. You may be able to pick up some of the skills you need in a way that enhances your current role. The ScienceCareers Individual Development Plan site might be work a try. There are some useful materials on Versatile PhD. Beardyman knows how to combine the various beats in his kitchen to produce something delectable. The culinary analogy extends to analysing soil in the laboratory too and, while unlikely to grace the pages of the Sunday supplements, thinking about some complicated labwork in terms similar to baking a cake is a good way of making it less daunting – like baking, you need to be precise with your timings and temperatures, and not mix things that aren’t supposed to be mixed. Easy! Below is a recipe for a analysing the microbial community in a peaty soil (using a method called multiplex-Terminal Restriction Fragment Length Polymorphism, or m-TRFLP, but you didn’t really need to know that…). Don’t try this at home, obviously. Measure out 0.5 g of soil, and add to a lysing tube with some phenol, hexadecyltriammonium bromide solution and chloroform:isoamylalcohol. Do this in a fume cabinet, otherwise things will go terribly wrong. Stir. Shake the mixture for about 30 seconds at 5000 meters per second in your lysing machine. Ensure that your lids are securely fastened to your tubes, otherwise your soily chloroform-phenol mixture will spray itself all over the inside of your lysing machine, and you’ll have to spend ages cleaning the machine while holding your breath. Put your mixture on ice and take it to the centrifuge. Once again, ensure that your lids are securely fastened. Whizz for ten minutes at 10,000 rpm. Carefully take your mixture out of the centrifuge and transfer the top, clear layer to a clean tube. Avoid hoovering up any of the gooey soily mix with your pipette. Add more chloroform:isoamylalcohol to the clear liquid and return to the centrifuge for five more minutes. Don’t forget to autoclave your hazardous waste! Transfer the top layer once more into a clear tube, and add some polyethylene glycol solution. Stir well, and leave on ice (not in the fridge, where someone might mistake your tubes for free samples of some quirky new energy shot product) for a couple of hours. Put your tubes back in the centrifuge at 10,000 rpm for ten minutes. You should now have an almost-invisible pellet of DNA at the bottom of the tube. A steady hand is required for the next step, so go easy on the coffee. Carefully remove the liquid from your tube, replace with ice-cold 70% ethanol, and centrifuge again for five minutes. Don’t be tempted to sample the ethanol. Remove the ethanol from your tube, leaving your DNA pellets in a warm, dry place for about half an hour. Once dry, add a drop of autoclaved water to your tube, and place in the fridge. At this point, it’s a good idea to check the concentration of DNA in your samples, to see whether your extraction has worked. Ask a grown-up to do this for you. Pre-program your thermal cycler. Add your choice of primers to your DNA, reading the instructions carefully. Stir well. Put your tubes in the thermal cycler for about three hours. If, at this stage, you’re exhausted, you can leave your tubes in the thermal cycler overnight, as long as you’re not planning a lie-in the following morning. Use a Wizard (kit) to clean-up your newly-amplified DNA. Pre-program your thermal cycler again, ready for the restriction digest. Add your restriction enzyme of choice (I like Hha1) to your cleaned-up DNA. Place in the thermal cycler for about one and a half hours. Check the final concentration of your DNA (ask a grown-up to help you with this). If you haven’t booked a slot on the sequencer, now is the time to go pleading to your lab manager. Place your tubes in the sequencer, overnight. In the morning, serve your data with some multivariate stats and a tentative garnish of interpretation. Delicious! Hadley Wickham’s ggplot2 package is a very powerful and (once you’ve got used to it) intuitive R graphics framework, based on the Grammar of Graphics, that most R users will come across at some point. One of its most useful features is facetting: splitting data up between multiple plots, in the same window (or device), based on some aspect of the data – usually a factor. Facetting is great but, as with many aspects of ggplot2, it lacks some flexibility. The reasons for this lack of flexibility are often sensible, but it can be frustrating. We can use facets to split data, but there’s no option to vary the geoms used to plot data between facets: all facets must share the same geom, e.g. bars, or lines. This can be frustrating when some aspects of your data would be better represented using a different geom to the one you’ve already chosen. Yesterday, however, I came across a work-around for this via this Stat Bandit blog post. The work-around uses the subset() function within each geom to control which facet each geom in plotted on. I’ve included an example below, which illustrates plotting monthly counts of blog views alongside a cumulative count. My code is based on that on the aforementioned post, so do check that out too. The British Ecological Society recently published a list of 100 influential papers, written over the last 100 years, as part of its centenary celebrations. I like zeitgeisty things like this, and enjoyed perusing the papers, each reference accompanied by a write-up by a scientist-in-the-know. It prompted me to think: which papers would be in my personal top ten? They could be papers that inspired me to take a certain approach, to consider my research in a different way, or papers that I just enjoyed reading because I thought they (or the authors) were cool. What do you think? Do you have any papers that grabbed you by the proverbial lapels and never let go? Post your suggestions in the comments below! Franklin, J. (1995) Predictive vegetation mapping: geographic modelling of biospatial patterns in relation to environmental gradients. Progress in Physical Geography, 19, 474–499. I first came across this paper during my undergraduate degree studies at the University of Southampton. It inspired me to develop my interest in (plant) species distribution modelling, the topic I ended up focusing on for my dissertation. In her review, Janet Franklin defined predictive vegetation mapping, outlined major contributions to the topic, provided a conceptual framework, and discussed approaches and methods (such as deriving variables from digital elevation models) in detail. The field of (plant) species distribution has advanced a long way since 1995, in tandem with the availability and sophistication of high-resolution spatial data, computing power and statistical methods. However, Janet Franklin’s review has stood the test of time, as far as providing an accessible introduction to the area of species distribution modelling is concerned. Beilman, D.W., Vitt, D.H., Bhatti, J.S. & Forest, S. (2008) Peat carbon stocks in the southern Mackenzie River Basin: uncertainties revealed in a high-resolution case study. Global Change Biology, 14, 1221–1232. My PhD supervisor, Nick Ostle, introduced me to this paper early in the first year of my PhD. David Beilman and colleagues used the Mackenzie River Basin in Canada as a case study for getting better estimates of the amount of carbon stored in peatlands, using a combination of landcover data, digital terrain data and peat carbon and depth data collected from other studies to produce a map of carbon stored per unit area of peatland. The study emphasised the importance of generating accurate peatland carbon inventories, and the approach adopted by David informed my own sampling strategy and later spatial analyses as I worked to produce a similar map of carbon storage for my PhD study site. Couwenberg, J., Thiele, A., Tanneberger, F., Augustin, J., Bärisch, S., Dubovik, D., Liashchynskaya, N., Michaelis, D., Minke, M., Skuratovich, A. & Joosten, H. (2011) Assessing greenhouse gas emissions from peatlands using vegetation as a proxy. Hydrobiologia, 674, 67–89. John Couwenberg and colleagues applied the very neat and convenient concept of using vegetation composition as a proxy for measured greenhouse gas emissions, testing the concept at two Belarusian peatlands. The idea that vegetation is a suitable proxy for greenhouse gas emissions has its origins in the fact that, in peatlands, water table level is an important driver of greenhouse gas emissions. The authors assert that vegetation is a good indicator of water table level and other factors that determine the amount of greenhouse gases emitted from peatlands. Vegetation patches are easy to map, and represent the combination of multiple years of conditions contributing to greenhouse gas emissions. Associating peatland greenhouse gas emissions to vegetation in this way allows us to test scenarios of vegetation change in an intuitive manner – an idea that I was keen to embrace in my own PhD project using a coarser landform approach, which I think will be useful for estimating greenhouse gas fluxes from peatlands using aerial photographs. McNamara, N.P., Plant, T., Oakley, S., Ward, S.E., Wood, C. & Ostle, N. (2008) Gully hotspot contribution to landscape methane (CH4) and carbon dioxide (CO2) fluxes in a northern peatland. Science of The Total Environment, 404, 354–360. This paper from Niall McNamara and colleagues at the Centre for Ecology and Hydrology is another example of a paper that I read early on in my PhD, which shaped my approach from the beginning. In this study, Niall and colleagues measured methane emissions from gullies and surrounding open moorland at what was to become my PhD study site, a blanket peatland in the north Pennines, England. They found that the gullies had much higher methane emissions than the surrounding bog and, despite covering just 9.3% of the land area, accounted for 95.8% of the methane emissions from the entire blanket peatland. The study confirmed that status of wet, Sphagnum– and sedge-filled gullies as hotspots for methane emissions. For me, this emphasised the importance of finding reliable estimates of greenhouse gas emissions from these landforms at the landscape scale – and why not apply the same idea to eroding areas as well? In my PhD, I found that these patches of bare peat played a similar role to gullies, in accounting for a disproportionately large amount of greenhouse gas emissions at the landscape scale, given their relatively small area. Mitchell, R., Hester, A., Campbell, C., Chapman, S., Cameron, C., Hewison, R. & Potts, J. (2010) Is vegetation composition or soil chemistry the best predictor of the soil microbial community? Plant and Soil, 333, 417–430. This paper by Ruth Mitchell and colleagues at the James Hutton Institute is one of my favourites, because it features a clever statistical method called Co-Correspondence Analysis, which can be used to determine how useful one community (the plant community, for instance) is for predicting another community (how about the soil microbial community immediately beneath those plants). This is another paper on the theme of using what we can easily see and survey (the plant cover) to predict what we can’t see as easily (the soil microbes, or the greenhouse gas emissions). Ruth found that the plant community predicted the soil microbial community just as well as the soil chemistry. I was keen to see if the same could be said of the plant communities present at my PhD study site, so tried it myself (unfortunately, with less convincing results!). Treseder, K.K., Balser, T.C., Bradford, M. a., Brodie, E.L., Dubinsky, E. a., Eviner, V.T., Hofmockel, K.S., Lennon, J.T., Levine, U.Y., MacGregor, B.J., Pett-Ridge, J. & Waldrop, M.P. (2012) Integrating microbial ecology into ecosystem models: challenges and priorities. Biogeochemistry, 109, 7–18. I’ve chosen this paper as one of my favourites because it introduced an idea that I think is particularly important to consider when we’re thinking about modelling the responses of ecosystems to global change pressures, like nitrogen deposition, or a warming climate. Kathleen Treseder and co-authors make the point that integrating some knowledge of soil microbial communities in our models will probably improve the performance of those models. As far as my own research is concerned, this paper helped me to justify the choices I made when selecting the scales at which to measure the soil microbial communities at my own PhD study site – I wanted to characterise them in a way that would perhaps be useful for future use in models of peatland carbon and nitrogen cycling. Van der Heijden, M.G.A., Bardgett, R.D. & van Straalen, N.M. (2008) The unseen majority: soil microbes as drivers of plant diversity and productivity in terrestrial ecosystems. Ecology Letters, 11, 296–310. This review paper by Marcel Van Der Heijden and co-authors caught my attention in the first year of my PhD thanks to that titular concept: soil microbes are the unseen majority, like the stage crew working behind the scenes at a West End show that makes the ‘magic’ happen. Well, sort of. The idea of soil microbes as drivers of the patterns we see in aboveground plant communities is one of several theoretical jumping-off points I adopted when drafting my literature review and rationale for my PhD studies. That image of the ‘unseen majority’ captured my imagination. Wardle, D.A., Bardgett, R.D., Klironomos, J.N., Setälä, H., Putten, W.H. van der & Wall, D.H. (2004) Ecological linkages between aboveground and belowground biota. Science, 304, 1629–1633. I consider this work by David Wardle and co-authors to be one of the definitive above-belowground interactions papers. The review sets out the concept of linkages between aboveground and belowground communities, and goes on to describe how these linkages can affect the functioning of ecosystems, before suggesting some research priorities. It also emphasises that these interactions are likely to be dependent on spatial and temporal context, and that this should be taken into account when designing studies that focus on this area. While I haven’t focused explicitly on this area in my own research, it’s certainly provided me with plenty of interesting background reading that’s helped to inform my ideas about the interactions between plants and microbes at different scales. Bardgett, R.D., Freeman, C. & Ostle, N.J. (2008) Microbial contributions to climate change through carbon-cycle feedbacks. The ISME Journal, 2, 805–814. This mini-review from Bardgett, Freeman and Ostle represents another early-PhD blockbuster, which provided me with a concise picture of the conceptual framework through which microbes mediate the carbon cycle and associated feedbacks with the climate. Figure 1 has appeared – sometimes in different guises – many times in various talks and presentations I’ve attended throughout my PhD and afterwards, which demonstrates the paper’s continuing relevance. Lindo, Z. & Gonzalez, A. (2010) The Bryosphere: An integral and influential component of the Earth’s biosphere. Ecosystems, 13, 612–627. And finally, last but by no means least, Zoe Lindo and Andrew Gonzalez present the wittily-named Bryosphere in a mini-review, in which they discussed the value of globally ubiquitous mosses as components in carbon and nitrogen cycling, and The Bryosphere as an ecosystem in itself, often under-valued. I’ll admit to being hooked by the title before the content, but it’s good, isn’t it. Rather than summarise it here, I’ll suggest that you read the article for yourself, and then go outside and appreciate The Bryosphere, in all of its glory.